Made in the tradition of Italian flavors, this crusty outside and moist and tasty inside, makes a great combination for upscale sandwiches, table bread assortment or with soups and salads. Our 4 x 4 Ciabatta is perfect for sandwiches. Once you cut the crusty outside, the inside reveals the rustic smell and open cell structure that comes with the long fermentation process of this product. A traditional Ciabatta with a wonderful open cell structure and firm crust. Use for sandwiches, salad strips or table bread. A smaller size to the quarter sheet, this makes a great upscale sandwich with its open cell structure and crusty exterior. With its thin crust and moist interior, it is hard to miss the aroma of hot rosemary bread. With its artisan design and taste, it makes a delightful sandwich or along with side soups and salads! for sandwiches or table bread. © 2019 Traditional Breads, Inc. All Rights Reserved. 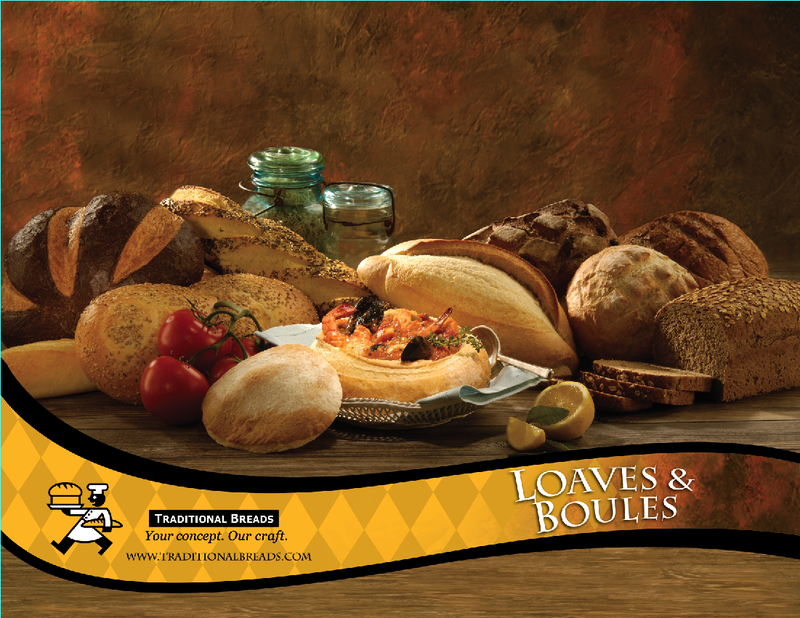 | Contact: (781) 598-4451 | info@traditionalbreads.com | Traditional Breads is a Nut Free facility.